FHA Loans Give Twin Cities Duplex Owner Occupants An Edge | Your best resource for buying, selling, owning and investing in duplexes and duplex homes. One of the many advantages for home buyers in today’s tumultuous housing market are the generous FHA loan caps for multi-family properties in the Twin Cities metro area. Wait? 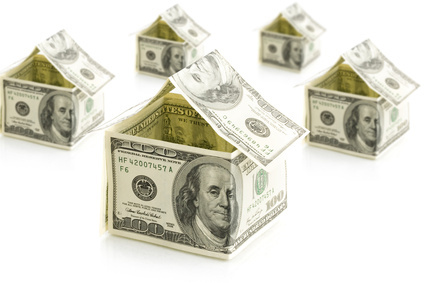 You can get an FHA loan for an income property? You betcha (as they say around here). While you and I may see a fourplex or a duplex as a multi-family home, the banking industry perceives any residential property with up to four units as a single family home. As a result, the FHA is willing to insure a loan on up to four units. Why is this such a big advantage in today’s market? Well, FHA loans require as little as 3.5 percent of the purchase price as a down payment, while financing for investors presently commands 20 percent down and one to two points in fees at closing. For example, in any of the major Twin Cities counties, the FHA will lend up to $407,800 on a duplex. On a $400,000 property, an investor will need to have a down payment of $80,000, as well as another $7000-8000 in fees in addition to the traditional three percent in closing costs. An owner occupant, on the other hand, can purchase the same property with a down payment of $14,000 and three percent in closing costs. It’s important to note here that while the FHA no longer allows sellers to gift the down payment to a buyer, other parties, like parents, can. However, the seller may still contribute closing costs. Of course, there is no limit to the amount you can use as a down payment.